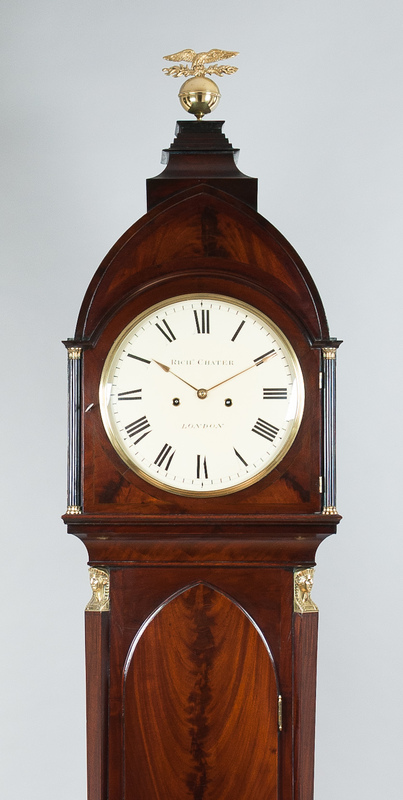 A fine quality George III flame mahogany 8 day longcase clock by Richard Chater of London. Maker: Richard Chater - Working 1774 - 1811 Cornhill, London. The high quality Egyptian influence style case veneered in beautifully figured flame mahogany, constructed on a solid oak carcass. 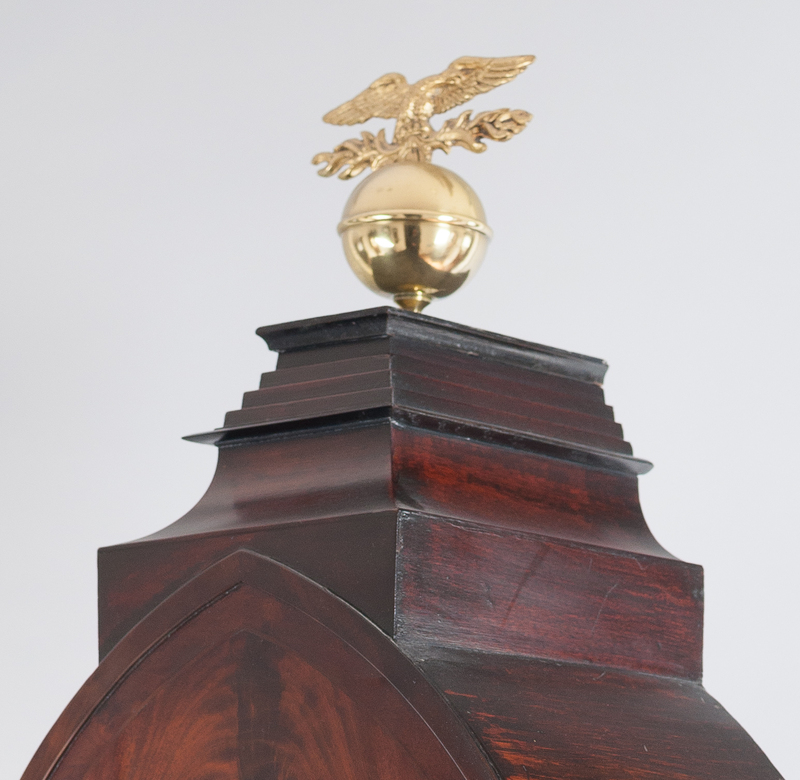 The lancet arch hood surmounted by a stepped pedestal with the original cast brass ball and "Hoho bird" finial, below triple fluted corners terminating with brass capitals. 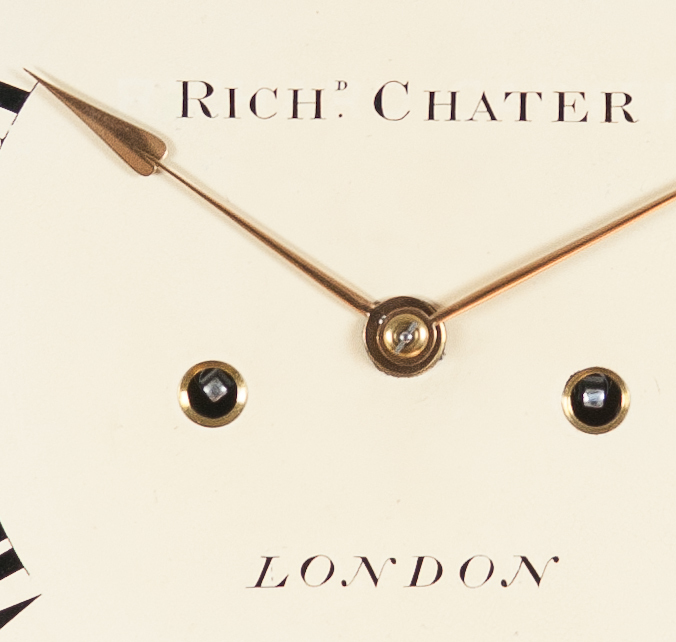 The convex circular glass, bound with a cast brass bezel. The hood sides with rectangular fretted cast brass and silk lined sound frets. 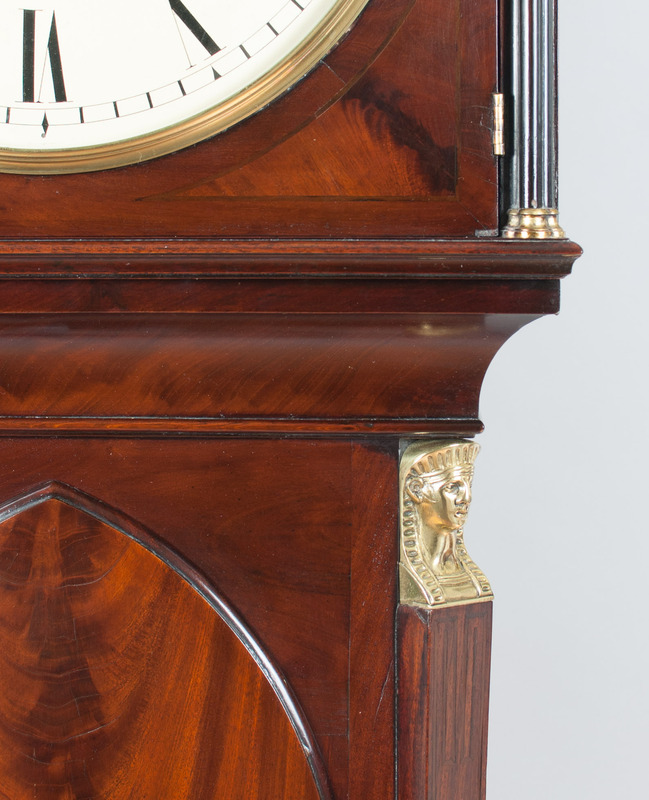 The lancet topped long trunk door with choice curled mahogany veneers, flanked by canted corners with finely cast brass Eygptian capitals. The raised panel to the base with London style double plinth. 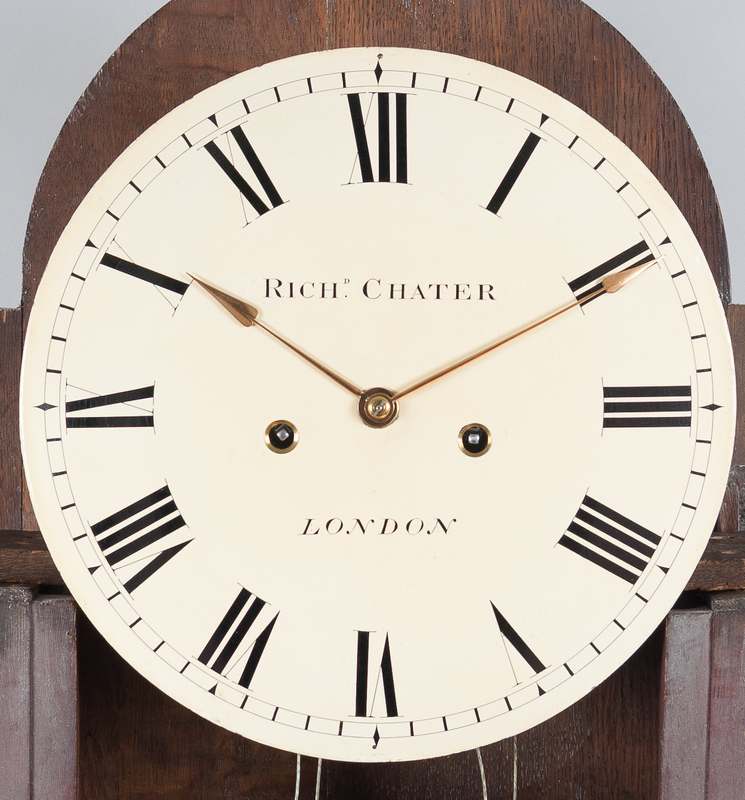 The convex circular white enamelled dial with roman numeral chapter ring, signed to the centre Rich Chater London. 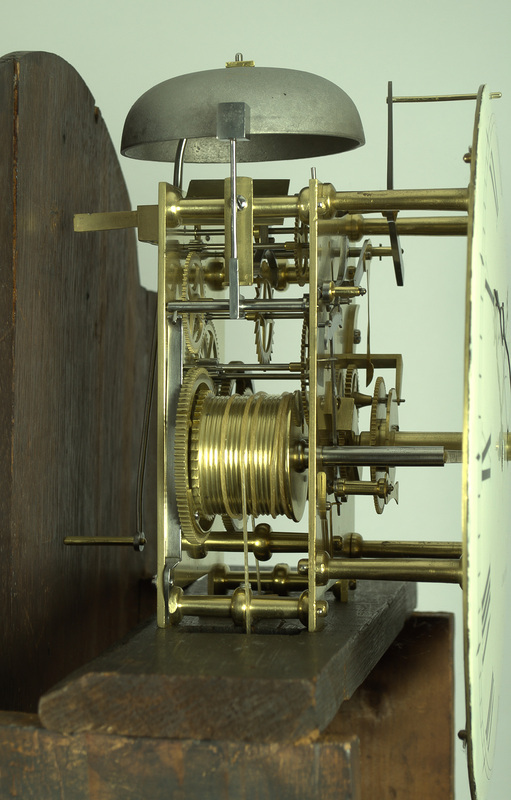 The high quality movement of eight day duration, united by five knopped pillars, anchor escapement and striking the hours on a single bell. Brass cased weights and heavy brass bob pendulum with steel strap. Fine gold plated hands of spade design.